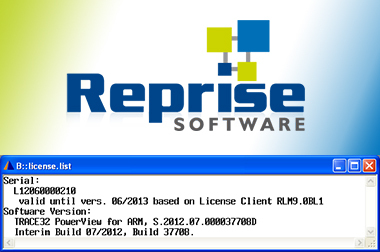 Lauterbach is using the Reprise License Manager (RLM) to maintain its floating licenses. 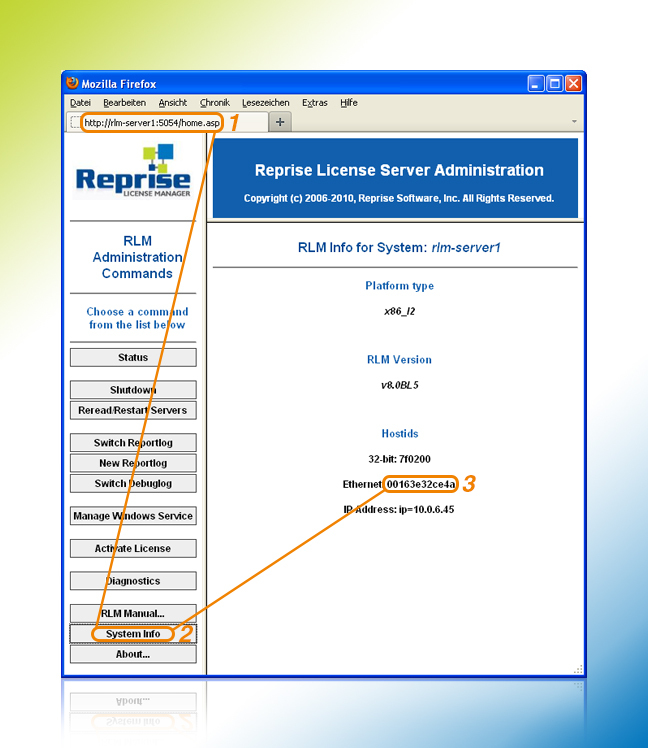 In order to generate a floating license Lauterbach needs to receive the RLM Host ID of your license server. 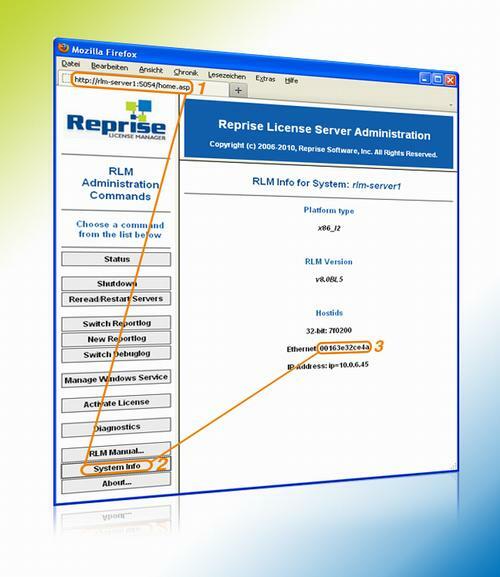 • Download and install the RLM Server Software for your RLM License Server machine. • Query the RLM host ID. Click on "System Info", then note down the 12-digit "Ethernet: xxxxxxxxxxxx" rlmhostid. If there is more than one value for the Ethernet ID, please send all of them.